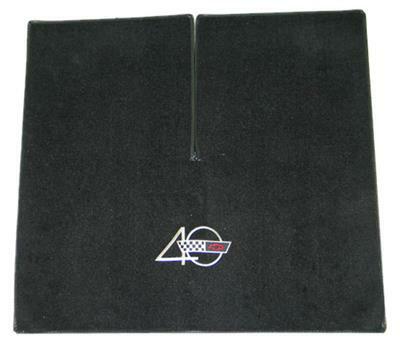 Cutpile carpet rear cargo mat with embroidered logo. With no-skid backing. NOTE: For plain cargo mat without embroidered logo use P#134196. Cutpile carpet rear cargo mat with embroidered logo. With no-skid backing.